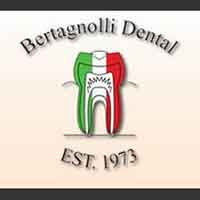 Bertagnolli Dental brings custom, affordable denture services to the Westminster area. The process of creating a denture requires several different procedures to make sure that your denture will fit the shape of your mouth and provide the necessary support for your face. We have the experience you need when you are looking for dentures in Westminster. Dentures are an option for tooth replacement of all or several of the natural teeth. During your visit we will discuss your expectations, concerns, and how our professional treatments can provide you with affordable, high-quality dentures in the least amount of time possible. You shouldn’t have to sacrifice the appearance and health of your smile. Our commitment is to the quality care of our patients. If you are thinking about dentures in Westminster visit our website and give us a call to schedule your appointment today.